***Bow Organizer & Headband Holder*** Our handmade organizer is the perfect way to display your bows and headbands and keep them all organized. 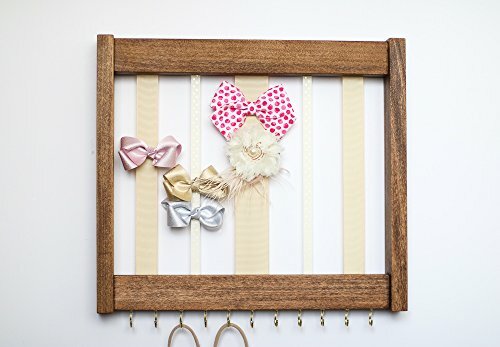 Your daughter's bow collection can be beautifully displayed in the nursery, bathroom or girls room. This organizer is made with poplar wood, it is hand-cut, softly sanded it to make it nice and smooth to the touch, and finished with a light hand-rubbed natural beeswax. 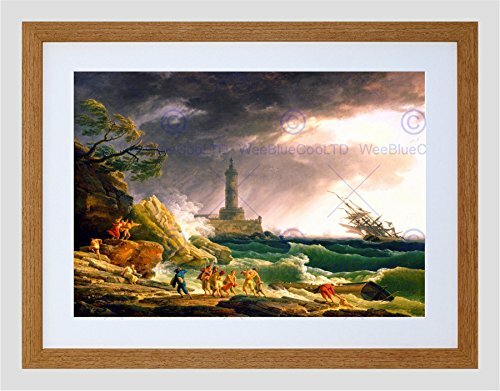 On the bottom of the frame there are 11 gold hooks. Each organizer comes with triangle hanging hardware on the back, easy to use and ready to be hung on your wall. Details: - 13.5" X 12" -Made with poplar wood - Beige and ivory polka dot gold ribbon - 11 gold hooks - Made to order -Handmade in USA Note: The bows and headbands in pictures are not included. If you'd like another design or ribbon color please contact me, I'd be happy to help make you an organizer you'd love. These are the perfect tables for craft projects, backyard barbeques, and any occasion where you need extra table space that is sturdy and portable. Great for home, office, school, church or shop use - anywhere that a light to moderate duty table is needed. 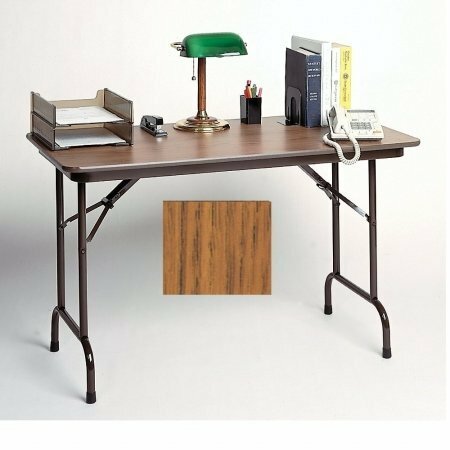 These folding tables are a standard 29 desk/table height with a melamine top on a 5/8 high-density particle board core. Incredibly sturdy steel frame has 1 diameter steel pedestal legs with automatic lock-open mechanism and 1 5/8 one-piece steel apron. Mar-proof plastic foot caps and edge molding make this table a superior choice for any flooring surface. Folds flat for easy storage. . Secure sensitive information behind two locking tambour doors. 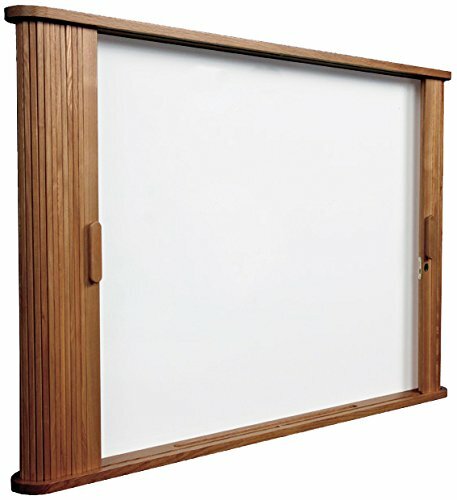 Smooth-glide doors open horizontally to reveal a white magnetic, dry erase surface with 2 1/2" deep ledge for markers and eraser. Wood frame cabinet. 44w x 4d x 32h. Board Type: Conference Room Cabinet; Dry-Erase; Magnetic; Board Width: N\A; Board Height: N\A; Surface Material: N\A. ***Bow Organizer & Headband Holder*** Our handmade organizer is the perfect way to display your bows and headbands and keep them all organized. 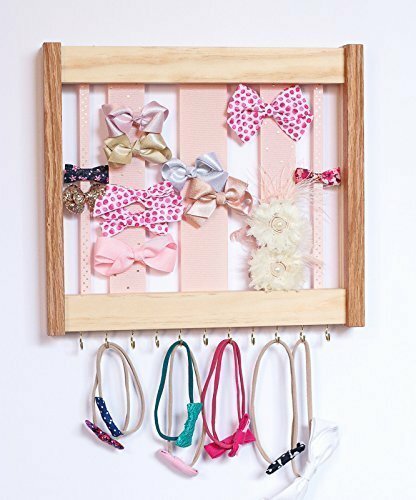 Your daughter's bow collection can be beautifully displayed in the nursery, bathroom or girls room. This organizer is made with solid oak and pine wood, it is hand-cut, softly sanded it to make it nice and smooth to the touch, and finished with a light hand-rubbed natural beeswax. On the bottom of the frame there are 11 gold hooks. Each organizer comes with triangle hanging hardware on the back, easy to use and ready to be hung on your wall. Details: - 13.5" X 12" -Made with oak and pine wood - Light pink and pink polka dotted gold ribbon - 11 gold hooks - Made to order -Handmade in USA Note: The bows and headbands in pictures are not included. If you'd like another design or ribbon color please contact me, I'd be happy to help make you an organizer you'd love. Remington's F.A.S.T. Series is made up of Swift tactical knives that highlight design appeal and functionality. These knives are made for quick one-handed deployment. The skeletonized handle serves to reduce the knife's overall weight. Its metal frame features a soft touch handle. The #1555P series is designed to be the perfect lift chair with technology to compliment the mobility a petite person is looking for. It is specifically designed and engineered to provide years of carefree operation with one simple touch of the finger tip. This chair is designed for the person who is 5'2" and smaller, but needs a standard width chair. This two-way lift chair features a shorter backrest height, and the seat is closer to the floor. Weight capacity is 275 pound. It features a lifetime warranty on the frame and lift mechanism and a four-year warranty on the remaining items. 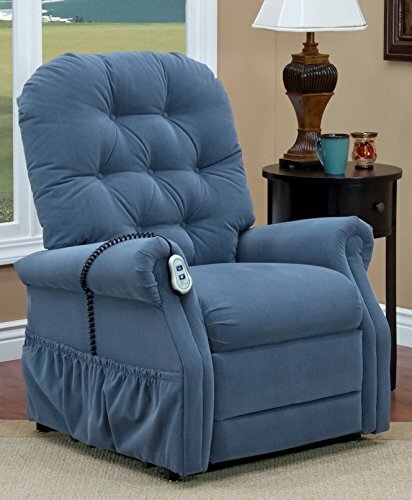 This style features a button-tufted backrest for styling and comfort. The backrest is 23" high from the top of the seat and the width between the arms is 21". When in the reclined position, the footrest is 21", and the back of the seat to the tip of the footrest measures 34". 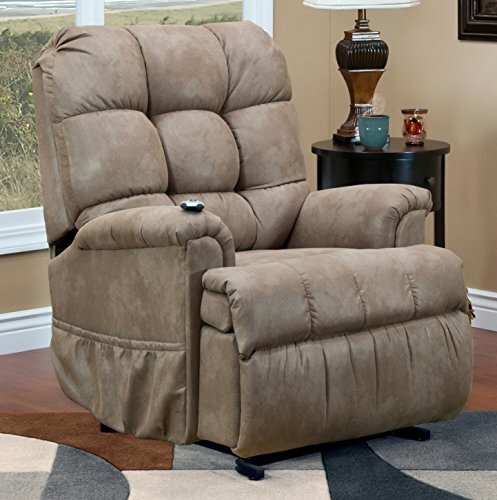 The #5500 Wall-a-Way Reclining Lift Chair is one of our most comfortable models, and is designed to accommodate a person from 5'6" to 6'4" tall. It has a weight capacity of 375 pound., The wall-a-way feature is designed so that this chair can be placed within 3" of a wall when the chair is in the fully reclined position. This chair features a variety of positions, including the T.V. position which allows the footrest to be fully extended and the back in the upright position. It features a lifetime warranty on the wood frame, lift mechanism and reclining hardware. Four-year warranty of the remaining items. Chaise pad is a standard feature, Magazine pocket on lower right-hand side of the chair is standard. 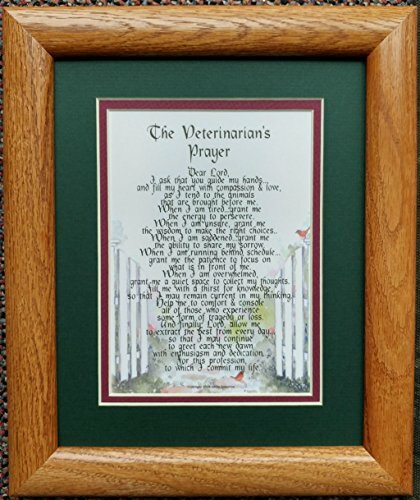 Looking for more Med Oak Frame similar ideas? Try to explore these searches: 09 Torpedo, Glo Ice, and Mascot Baby Comforter.